Any member of the Trust may become a Trustee, provided that they are eligible to stand for election under both company law and charity law. There are no fixed qualifications. A wide range of skills and experience is required in order for the Trust to operate effectively and each Trustee is expected to bring strategic, social, economic and environmental direction to Council. Nominations are sought in late Summer. Notices of elections and particular recruitment needs are placed in WildWarwickshire magazine and on this web site. Trustees are elected by our members at our Annual General Meeting. I have had a 30 year career in business encompassing a diverse industry background including health and wellbeing, retailing and logistics and distribution. My early roles were in human resources and I have been a member of the Chartered Institute of Personnel and Development throughout my career. In the last 10 years, I have held senior management roles in 2 FTSE100 companies and went on to set up my own consulting business. In 2011, I was appointed as a Non-Executive Director of Coventry and Warwickshire Partnership NHS Trust (CWPT) which provides mental health and community services both locally and nationally. As part of the Trust Board, I played a significant role in the governance of the organisation, including chairing committees, scrutinising performance and working with regulators. I have also worked in the third sector running a small social enterprise supporting people with special educational needs and as part of this role, I worked with the Trustees of an associated charity. In November 2016, I took up a new appointment as Chair of Northamptonshire Healthcare NHS Foundation Trust (NHFT). The Trust provides similar services to CWPT but for the county of Northamptonshire and the role encompasses leading the Board of Directors ensuring its effectiveness in setting strategy, maintaining compliance with regulatory requirements and delivering high standards of governance. I am confident that I will have the capacity to undertake the Chair role for Warwickshire Wildlife Trust and that the two roles will complement each other well. I recently retired from HM Revenue & Customs where I held a number of senior roles. I have a keen interest in natural history, as well as an academic training in biological sciences and an early career in environmental work. As Deputy Director in HMRC I was responsible for leading large operational teams, requiring effective financial, resource and risk management, whilst setting and evaluating performance against agreed targets. I am also a chartered accountant (CIPFA) and was a member of investment appraisal committees, overseeing large operating budgets to realise Spending Review efficiency targets. With a life-long interest in natural history, John has been a member of Warwickshire Wildlife Trust since 2007. After a career in financial services including commercial banking with the likes of Lloyds Bank, it was only natural for John to use his financial skills for the benefit of the Trust as Treasurer and Chair of the Audit Remuneration Committee. John was co-opted as a Trustee, elected as Treasurer and appointed as a Non-Executive Director of Middlemarch Environmental. I am a retired Solicitor; I practised both in Warwickshire and Northamptonshire. Together with my husband Peter, I am involved in running the Warwickshire Dragonfly Group. Apart from my interest in Natural History, I am an enthusiastic photographer, and a Fellow of the Royal Photographic Society. Frank was born and brought up in the countryside, when the natural environment was very different to that which we see today, and nature has been a constant backdrop to his interests and much of his professional life. That professional life started as a Chemical Engineer in the steel and petrochemical industries, before moving into small enterprise creation, overseas development, conservation and the environment. More recently, Frank has been a sustainable development consultant working with businesses, overseas governments and non-governmental agencies. Frank has seen at first-hand how resilient nature is, and how it can bounce back given the right habitat and conditions. The Trust gives nature that chance, through its reserves and its wider outreach. I have been a member of Warwickshire Wildlife Trust for over 30 years and a volunteer in the office at Brandon for 5 years. I feel I have a broad understanding of the work and aims of the Wildlife Trusts at local, national and global levels. I can offer a broad and objective view of the work of the Trust and offer expertise in motivation and communication, both important in enabling the Trust to engage with a wide range of people. Michael was chair of the Trustees for eight years between 2008 and 2016. 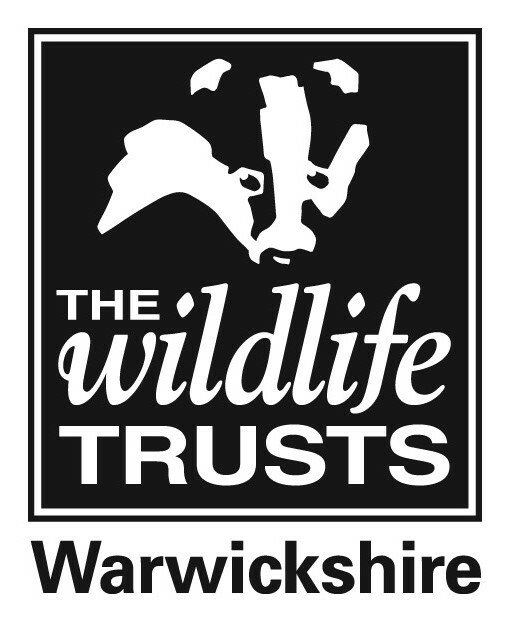 The role as chair of trustees was one of the best ways for me to really find out the ‘what, why and how’ of Warwickshire Wildlife Trust and the other 46 Trusts around the country. Having come from a different background it has been a fascinating and rewarding experience; a chance to meet some really dedicated people and to see some truly amazing results. Mike remains on the Council as a Trustee but is stepping away from a lot of the national Wildlife Trust work with which he has been involved with. He does however intend to remain an active member of the food and farming working group. I have been a member of Warwickshire Wildlife Trust for over twenty years and have had a lifelong interest in wildlife with a broad general knowledge of nature and conservation issues. I recently retired as Executive Director of Rugby Borough Council. As one of the two most senior officers at the Council I was involved in all aspects of leading and managing a complex public sector organisation, focusing on strategic planning, organisational leadership and management, building services and partnerships with external organisations. I'm also a governor at Avon Valley School in Rugby and have a good knowledge of secondary education and education issues in general. I'm a former journalist and award-winning communication professional who is passionate about wildlife. Working in Internal Communications I believe I can help to creatively improve communication and engagement with the Trust’s staff and volunteering network, building more loyalty to the Trust and a willingness to do more. Throughout my working life I have worked effectively in a team, sharing success and experience and helping to develop other team members with my skills an knowledge. I believe I can offer insight into how to attract and retain more family memberships – keeping future generations involved in conservation and interested in wildlife. Susan was raised on a farm and qualified first as an ecologist, then as a botanist studying the wild relatives of our crop plants and their response to changing climates. Her career has spanned research and policy development, resource management, sustainable development and renewable energy. She was responsible for the setting up of both an energy efficiency advice centre and a centre of excellence for local authorities delivering commercial waste recycling. She has recently retired from a small consultancy company. Susan hopes that she can now use her time and expertise to support the diversity and biodiversity of Warwickshire’s wildlife and countryside. Geoff has had considerable involvement with the Trust as member and volunteer. He has been a Voluntary Work Party Leader on Kenilworth Reserves for ten years and has recently taken on a similar role at Bubbenhall Meadow and Wood. He would like to build on this by representing the volunteers on the Trust. Professionally Geoff can bring advice on business planning and investment appraisal. He is a qualified accountant who spent most of his working life in the water industry in senior positions at Severn-Trent Water and the Environment Agency. Duncan enjoys the wonderful countryside we have in our region and by having the Trust's Parkridge centre on his doorstep, has witnessed the amazing work the Trust does for the area. He has been a Trust member for over ten years. Becoming a Trustee allows him the opportunity to directly contribute to its further development. As a strategy director, he helps organisations grow and develop. He has worked in the environmental, utilities and construction sectors and currently for a financial services company. Duncan's lifelong passion is the natural world and he is driven by a sense of urgency and need to help more people understand its value. Helping the Trust to develop is a great opportunity for him to enable more people to positively engage with, and enhance, Warwickshire’s wildlife. Laurence responded to the advert in the summer magazine which invited applications for Trustees from people with particular experience of, amongst other things, town planning. Laurence's career in planning has spanned over three decades and he has worked in both the public and private sectors. The majority of his work has been in the preparation and negotiation of planning applications, and the legal agreements which often run in parallel, for a wide variety of developments including housing, industrial and leisure projects. Laurence has also been a member of Warwickshire Wildlife Trust for many years and becoming a Trustee will enable him to use his knowledge of the planning system to enhance the Trust's role in responding to planning applications and both safeguarding existing habitats and creating new ones as part of new development.